What’s the most you’ve impressive thing you’ve ever done in a month? 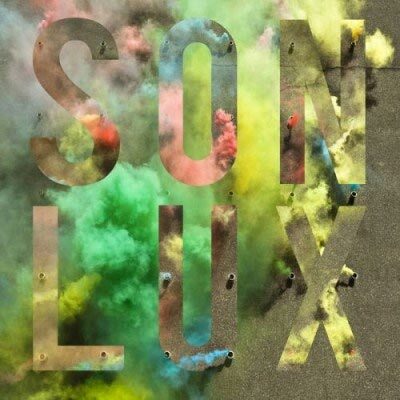 Ryan Lott, AKA producer/composer Son Lux, wrote, recorded and finished an entire album. 36 minutes of music, to be exact, and in the shortest month of the year. This is no small feat, but the most impressive thing about his sophomore album, We Are Rising, is its intricacy and depth. Lott was approached by NPR’s All Songs Considered with the idea of entering the RPM Challenge, a contest put on by New Hampshire-based publication, The Wire. This contest has no winners and no prizes, but instead is meant to inspire and push musicians to produce either 35 minutes or up to 10 songs during the month of February (just 28 days). None of the music can be recorded in any form before the first of February, forcing musicians to start from scratch. This was a completely different process for Lott, as his previous album was created over a three-year span and mostly in isolation. Lott changed this up, too, and tapped into his exceptionally talented friends — members of Midlake, The Antlers, DM Stith and My Brightest Diamond, to name a few — to craft an album that would take most composers much longer conceive, let alone to record. We Are Rising mixes classical instrumentation and composition with electronics and pop sensibility. Bleeps and blips are as common on this record as delicate string arrangements and virtuosic flute playing. The album starts with spacious, wobbly horn stabs that slowly build, adding strings and operatic female vocals, until eventually settling on Lott’s slightly trembling voice, which is reminiscent of Sufjan Stevens — only baritone and more expansive. Lott utilizes a strong sense of dynamics along with access to what sounds like every instrument and musician he can find. Throughout the album, he relies heavily on Shara Worden (My Brightest Diamond) and her amazing, and quite haunting, operatic vocals. Standout tracks include “Rising,” which features vocals by Lott, DM Stith, and The Antler’s Peter Silberman, and “Let Go,” which has some of the most simple, yet effective percussion on the album and ends up sounding like a chamber quintet covering Animal Collective, reworked by Jonsi. Lyrically, Lott plays with a variety of motifs throughout the album. Songs like “Flowers” and “Chase” discuss interpersonal relationships, mostly failed and unappreciated or dealing with entrapment. In the former, Lott croons about a woman forgetting the origin of the flowers in her hair, dressing up and professing empty vows; in the latter, he harps on the question, “Will you chase or let me go?” seeming to hint that he’d prefer to be set free. These are in stark contrast to tracks like “Rising” and “Rebuild,” which speak to rising from the ashes and “rebuilding everything we’ve lost,” which are far more hopeful and uplifting. Clearly drawing from many different inspirations, We Are Rising, manages to cover a massive amount of ground in a relatively short time. My only criticism of the album is that it sometimes tries to accomplish too much and the composition overshadows the songwriting. While it is very impressive in scope and sounds exquisite, some songs just don’t measure up to others and feel forced. However, the gems far outshine the duller songs and make the album well worth checking out. Plus, its much more than anyone can expect from an album recorded in just twenty-eight days. Check out www.rpmchallenge.com to find out more about the RPM Challenge and watch this fantastic interview about recording the album and creating the album artwork on NPR.